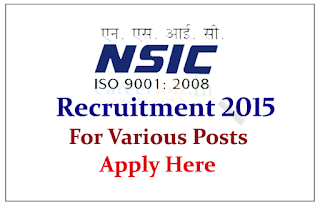 The National Small Industries Corporation Ltd is recruiting for the post of General Manager Deputy General Manager /Deputy Manager for the year of 2015.Location at NewDelhi. Eligible candidate can apply online on or before 10th June 2015. 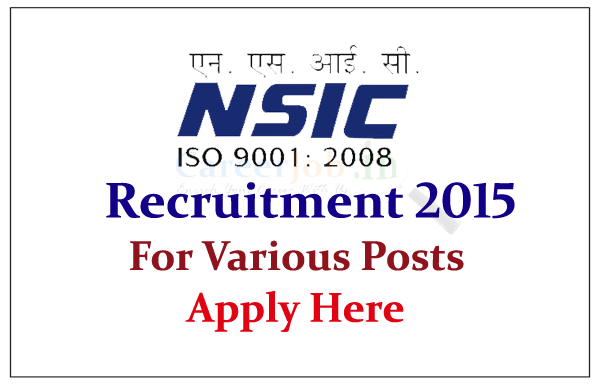 National Small Industries Corporation Limited (NSIC) is a PSU established by the Government of India in 1955,It falls under Ministry of Micro, Small & Medium Enterprises of India.